DESCRIPTION FROM THE PUBLISHER: Once upon a planetoid, amid her tools and sprockets, a girl named Cinderella dreamed of fixing fancy rockets. 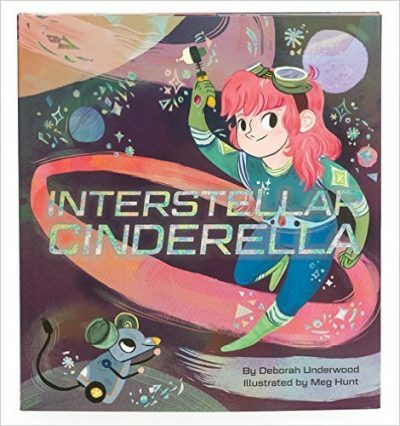 With a little help from her fairy godrobot, Cinderella is going to the ball but when the princes ship has mechanical trouble, someone will have to zoom to the rescue! Readers will thank their lucky stars for this irrepressible fairy tale retelling, its independent heroine, and its stellar happy ending.